Play Scarto online against two computer opponents. Scarto is a three player game played with a 78 card tarot deck Tarocco Piemontese. 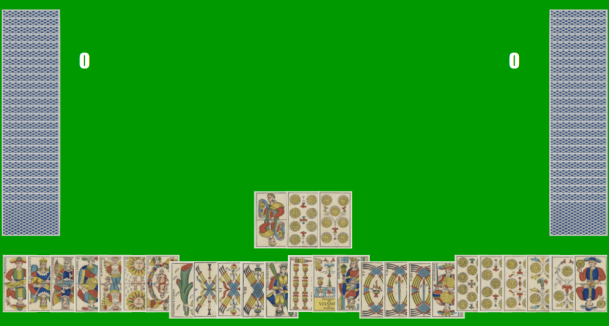 t consists of 78 cards: a trump suit of 22 cards, numbered from 0 to 21, and four 14-card suits of swords (spade), batons (bastoni), cups (coppe), and coins (denari). the Pagat "il bagatto" (1).